Hyper-V is widely adopted across businesses. 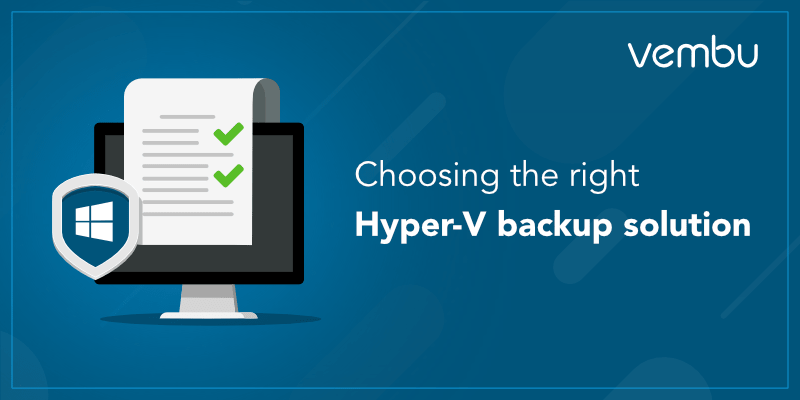 As the logical next step, you need a backup solution to protect the VMs running on Hyper-V. Below is a checklist that will guide you through in selecting a backup solution for your Hyper-V environment. A host level backup is a must. 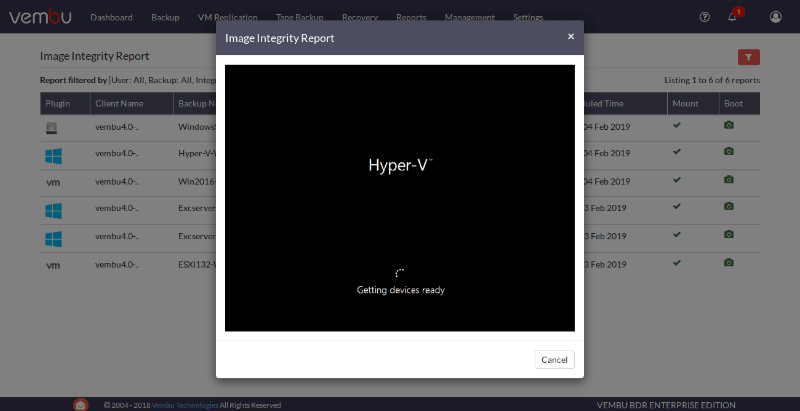 In any given day, when you are managing half a dozen software that manages many dozens of machines in your organization, you can’t possibly make sure every VM running in your Hyper-V is installed with an agent and properly backed up. Backing up all your VMs without installing agent in every machine is the practical thing to do. 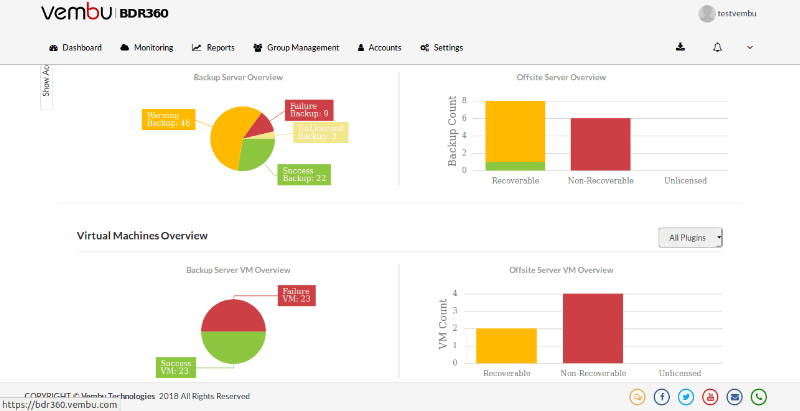 A few backup solutions offer interfacing with Hyper-V servers, that allow for host level backups. Managing all VMs and their progress is just one of the advantages. A management overhead of deploying multiple agents in your organization can be overcome with this simple step. You have 5 servers and 50 VMs running on it. Imagine the data generated each day. Now imagine taking full backups of that data regularly. Unless you are planning to spend on storage as much as you spent for your entire team, you can’t handle the data explosion. There is an easier way- backing up the changed blocks. Initially, there will be a full backup, after which, only the blocks that have been changed during the interval will be backed up. This not only saves space, saves resources and improves performance, it will also give you a peace of mind- which the first thing a backup solution must deliver. For a backup process to commence successfully, VSS needs enough storage space on a hard drive to make shadow copies. A shadow copy is the consistent state of VM data and the backup will fail without the necessary space. Once a shadow copy is ready, the backup can carry on without issues. Integration components are necessary to make sure that system tasks on a VM are performed without problems. For example, OS restart and I/O operations require the help of these components. Therefore, do make sure you install the latest integration components to avoid inconsistency in backups. Vssadmin list writers- lists subscribed Volume Shadow Copy writers. If it doesn’t list anything, it means the writer is corrupted. In that case, restart ‘Hyper-V Volume Shadow Copy Requestor’ service in the problematic VM to list all VSS writers. Continue the previous scenario. The 50 VMs are being backed up properly… you hope. You shouldn’t be hoping for the best. Your backup solution must provide proper reports of the required metrics at the right time, automatically. When a backup solution does this perfectly, you will be able to check whether your organization’s critical data is properly backed up by just looking into your phone and reading the reports sent to you in an automated email while you are having lunch in another city. Make sure the reports delivered are not just about whether a backup is successful or not but also offers more about the key indicators like time taken and the recoverability. From a single console, you should be able to monitor or perform backup and other operations. Your VMs are backed up. Does that mean they are properly backed up? You did enable Application-aware settings. Of course your backups are consistent…right? Data can get corrupted from a variety of reasons and you shouldn’t be investigating the cause of it “after” you have failed to restore important data. You should ensure your data is recoverable even before the need to restore the data arises. This is where an option to verify your backups will help you. Your backup solution should let you know when your backups are not recoverable so that you can run another backup before a disaster strikes. The way you recover your data makes a difference. Recovering all the data every time is not efficient. Recovering one file at a time when you are planning to access some of your backup data is time consuming and not wise. When you are desperately looking to recover your lost VM to combat expensive downtime, the last thing you want to see is a slow loading progress window stuck at 3%. The backup solution you implement has to have different recovery options that can handle the different possible scenarios you might face. There are many other intricate best practices to be followed while setting up a Hyper-V backup solution, but the above factors are major. They are enough to get you started. Other major hypervisors like VMware may also offer snapshot technology. But it does not replace a backup. When your environment has diverse elements like VMware, Hyper-V, physical machines or SaaS applications, having to check on each of the backups will definitely be impractical. Apart from basic backups, having a 3-2-1 backup strategy will make your data protection plan airtight. Three copies of data in two different storage mediums and at least one copy offsite will ensure your business continuity and disaster recovery. Finding a solution that can cater to all your needs but nicely fits into your budget is what you need. 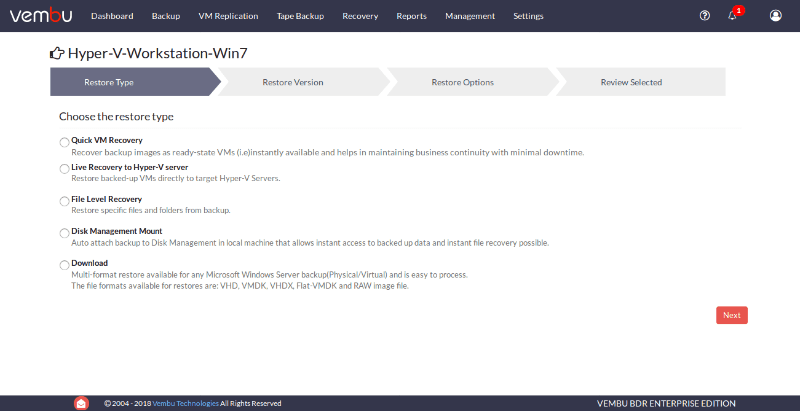 Vembu VMBackup can backup the VMs running on VMware and Hyper-V while satisfying the above checklist. It offers much more at an affordable cost.